This golf Course community offers a wonderful relaxed lifestyle. 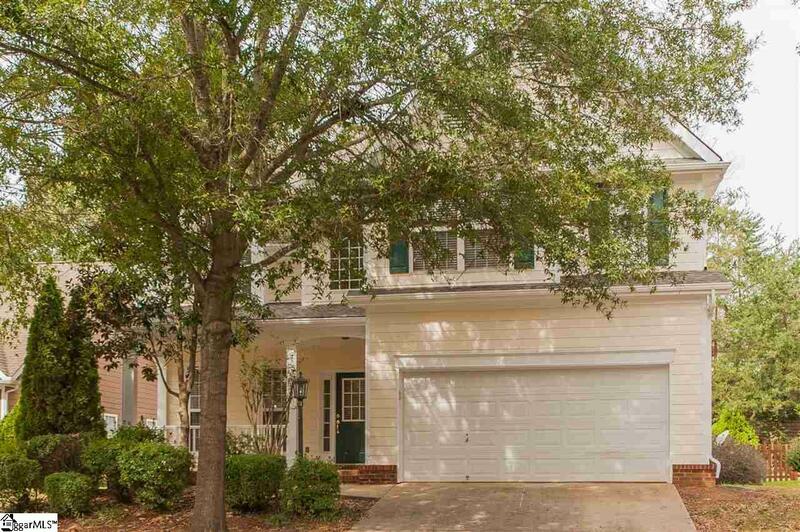 This home with many updates has 3 bedrooms, 2 full baths, 1 half bath and is located close to the Clubhouse at River Falls Plantation. 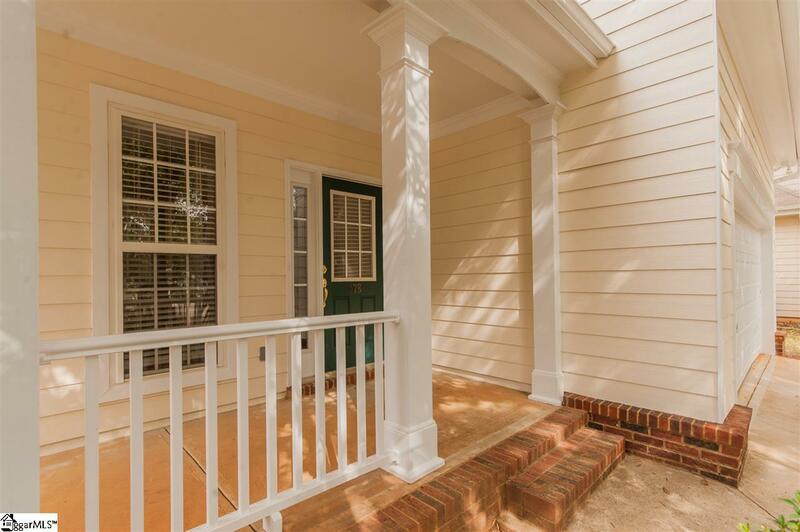 It has a fenced/private backyard with a deck recently re-stained which is perfect for cook outs and entertaining. 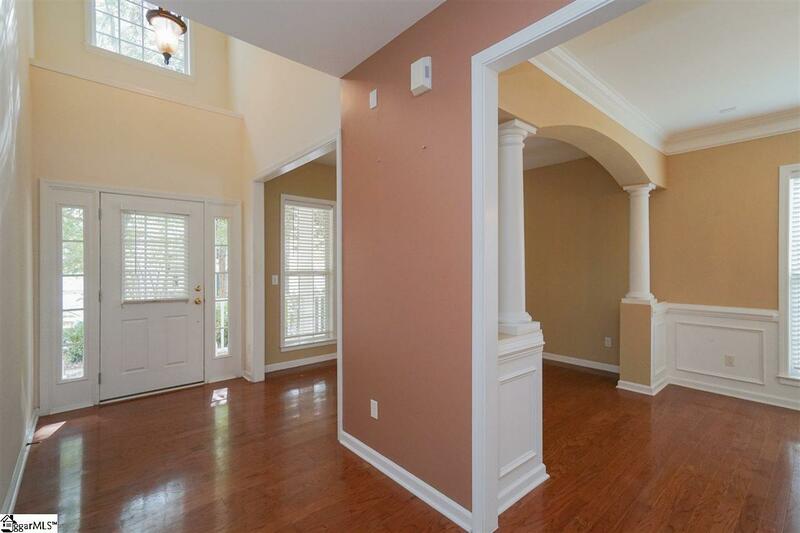 It has hardwoods throughout main floor except carpet in Great Room. This home has approx. 2178 SF taken from appraisal and it features an open floor plan with formal living room opening to dining room. Great room opens to breakfast area and kitchen. Nice kitchen with newer stainless steel smooth top stove with double ovens, garbage disposal, built-in newer stainless steel microwave, and dishwasher. Two-Story Great Room features a gas log fireplace. All 3 bedrooms are upstairs and spacious master bedroom has full bath and walk-in closet. Master bath has 2 sinks, garden tub, and separate shower. There is a Jack & Jill bath connecting other 2 bedrooms one bedroom with a walk-in closet. The walk-in laundry is upstairs and the washer and dryer convey all appliances convey owner will not provide any warranty for washer or dryer but believes both are operational. Two car garage can be used for additional storage. This home also has 2 window blinds, ceiling fans, full yard sprinkler system (owner not warranting sprinklers not sure when used last) and a pull down attic for storage. There is a transferable 10 year termite bond at no cost to buyer, new roof installed June 2018, many repairs completed prior to listing, new back door leading to deck, deck-re-stained October 2018 and exterior painted in October 2018. Come enjoy the great amenities clubhouse, pool, tennis courts, sidewalks, and great golf courses. 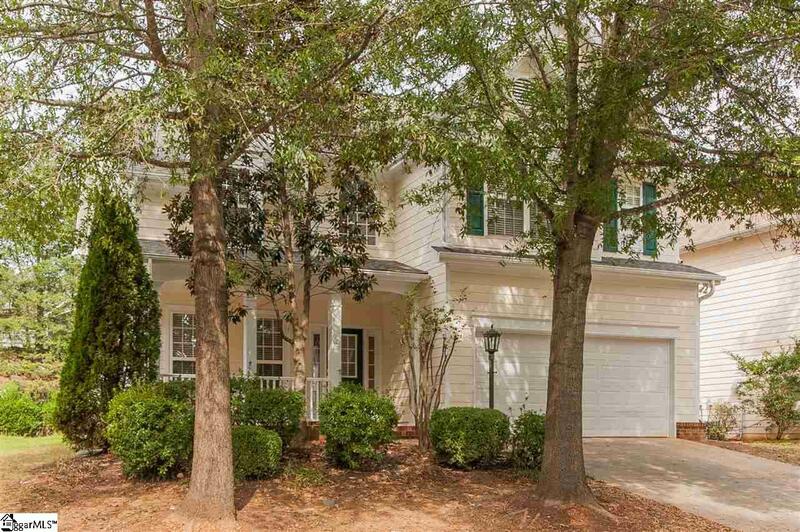 The subdivision is located just off Hwy 290 and I-85 so convenient to Greenville/Spartanburg Airport (only 12 mins away), BMW, Michelin and GE. Located between Greenville and Spartanburg which makes it the perfect location. The annual fee for HOA is $210. If there are any transfer fees or any one time fees due at closing, these fees will be the responsibility of buyer. There are no clubhouse fees unless you plan a special event. If buyer wishes a golf membership the fee is $1100 annually covers green fees at both golf courses. There are no restaurant minimums, assessments or initiation fees. Cost to use pool and tennis courts is $300 annually if buyer wishes to use them. Driving range is $350 annually if buyer wishes to use it. Please contact River Falls Golf to confirm all prices. Home and carpets have been professionally cleaned. Roads in River Falls Plantation are being re-paved at time of listing. The road leading to this home has already been re-paved and looks great. If square footage is important buyer must verify. Listing provided courtesy of Anne Marchant of Marchant Company, The.